Theertham : Kusa, Manikarnika, Chakra, Pushkala, Varaha Gandha and Padma theerthams. 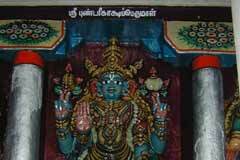 Lord of the temple is praised in the Prabandam hymns of saint Periazhwar and the Mangalasasanam hymn of saint Tirumangai Azhwar. 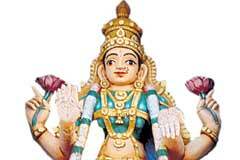 Chithirai summer festival and Chithirai Poornima-full moon day in April-May; Gajendra Moksham (Lord Vishnu granting salvation to an elephant); Aavani Srijayanthi in August-September with procession, Panguni Brahmmotsavam on Tiruvonam star day in March-April are the festivals celebrated in the temple. The temple is built as a fort. There are rooms built of stones on the south side with high echo powers. 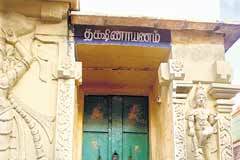 The temple is open from 7.00 a.m. to 1.15 p.m. and from 3.30 p.m. to 8.00 p.m.
Sri Pundarikakshan (Thamarai Kannan) Temple, Tiruvellarai-621 009, Tiruchi district. Devotees perform Bali Peeta Tirumanjanam and offer pudding-Pongal nivedhana to Lord. Prayer begins at the Bali Peeta in the temple. Realizing their wishes, devotees perform Bali Peeta Tirumanjanam and offer pudding-pongal nivedhana to Lord. 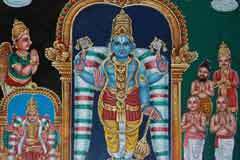 Those seeking child boon, bathe in the Theerthas and consume the nivedhana offered to Perumal. This prayer, according to belief, ensures child boon without fail. Perumal graces the devotees in a standing form facing east. The Vimana-tower above the sanctum is of Vimalakruth design. Emperor Shibi, Sage Markandeya, Lord Brahmma and Lord Shiva and Garuda Bhagwan worshipped Lord Pundarikaksha in this temple. It was a period in <?xml:namespace prefix = st1 ns = "urn:schemas-microsoft-com:office:smarttags" />South India when hands of demons were up and strong. Emperor Shibi, with his vast army came here to destroy them and protect the people. On their way, a white swine appeared before the army and created troubles. The army with all its might could not succeed in capturing the animal. Even the emperor could not succeed. When he chased the animal around the hill, he saw sage Markandeya performing penance there and explained his experience. The sage told the emperor that he was too lucky that the Lord had come before him in the form of Varaha-swine while he (sage) was toiling to have the darshan of the Lord. The sage also advised the emperor to perform abishek to the ant-hill there with milk. Emperor Shibi did so and to the delight of all, Lord Narayana granted darshan to all. 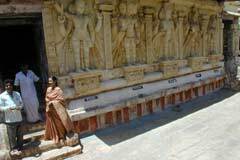 Lord Vishnu told Mahalakshmi who was also present on the occasion that he had transferred all rights of the place to Her and He would be there only in Archarupa-idol- in the place. The emperor was preparing to take on his mission then. Sage Markandeya stopped him and said that Lord Vishnu was already on the mission to destroy the Ravana group in His incarnation as Lord Rama and that he could therefore return to his kingdom. The king was not happy at the suggestion. Markandeya asked him to build a temple for the Lord who granted him darshan. Obeying the sage, the emperor brought 3,700 families to conduct the pujas in order. On the way one died and the number fell short by one. Lord assured the Shibi that he would replace the deceased and make the number 3,700 as the emperor wished. 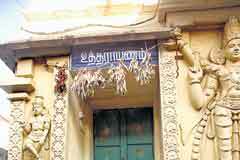 Mother Sengamalavalli is in the sanctum sanctorum. During festival times, Mother leads the procession in a palanquin. 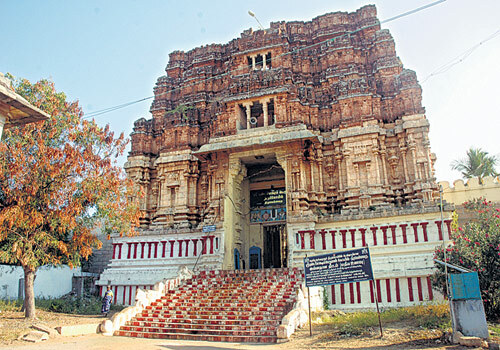 Tiruvellarai temple is 20 km far from Trichy on Thurayur route. 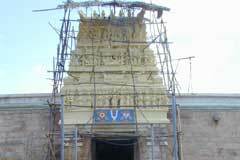 Bus facility to the temple is frequently available from Tiruchi Chathiram bus stand. Hotel Mega: +91-431-241 4092; 241 6354.